Cuddle Down Products is a Canadian privately owned and operated company that has been in the business of manufacturing high quality duvets and pillows since 1975. In the early eighties bed linens were added by importing fine fabrics from around the world. 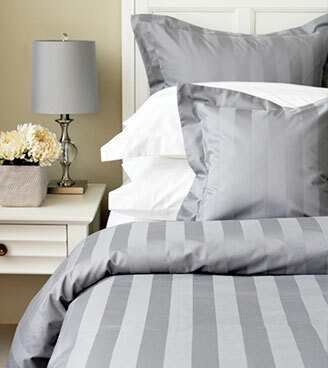 All their bed linens are cut and sewn in the Cuddle Down factory in Ottawa to ensure that you get the finest quality bedding available in Canada. Organic cottons have been recently added to the bed linens. Damai organics are grown on plantations where farmers make excellent use of natural raw materials and methods. No chemicals or artificial fertilizers are used on the fields, cottons are picked by hand and the bleaching, dying and fixing the cloth are done naturally. All Damai Organics are 100% cotton and have been granted the Eko certification and meets the strong and rising demand by customers for products produced in environmentally friendly and sustainable ways.